well it worked heres' another of Jack! Paint Me ~ Very pretty! Look at that long back. 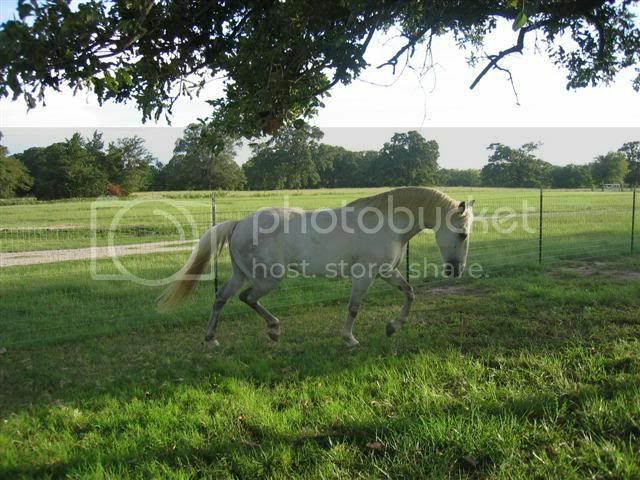 I've got the hand of loading pics and here are some more..
sorry heres' my future dreassage horse paint, my 2 year old filly apha/aqha. 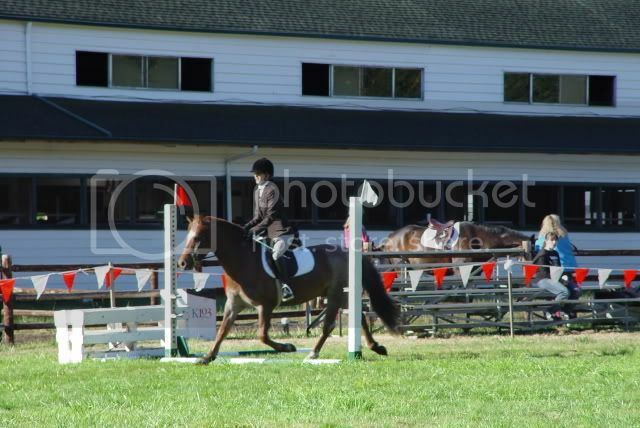 Most of you have probably seen this one, but here are Seamus and me at a show a couple of months ago. This is at our 2nd show ever, about two months ago. We won 1st place in Intro A. We have another show coming up on the 13th of Nov.
ETA: His name is Ice, gah, I can't believe I forgot to mention his name. I think I finally figured it out. 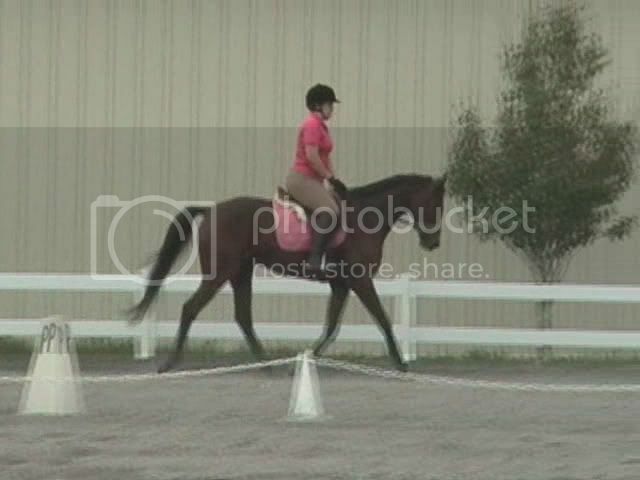 Some candid schooling shots. Yeezow! BEAUTIFUL! All of them! 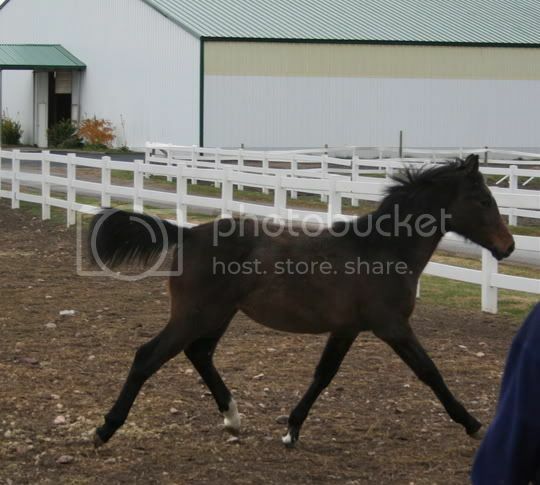 My dressage horse in training. Shes getting there. 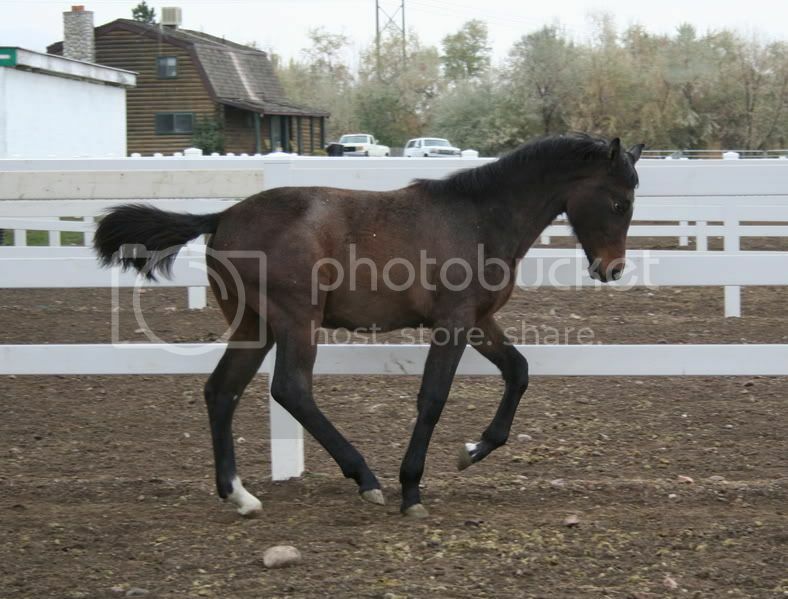 Here's my new up and coming dressage horse. He is 4 started last fall and this is his first year doing dressage. Here's my new girlie, Annie. 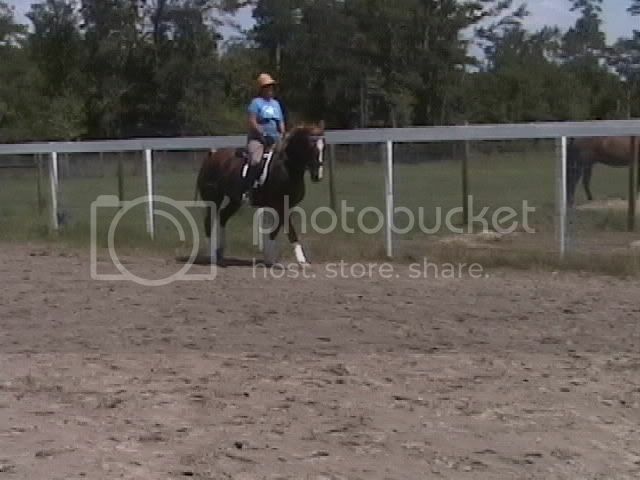 We'll be starting up dressage work soon. Hello, I've been gone for a while, most of you have seen these a few have not. 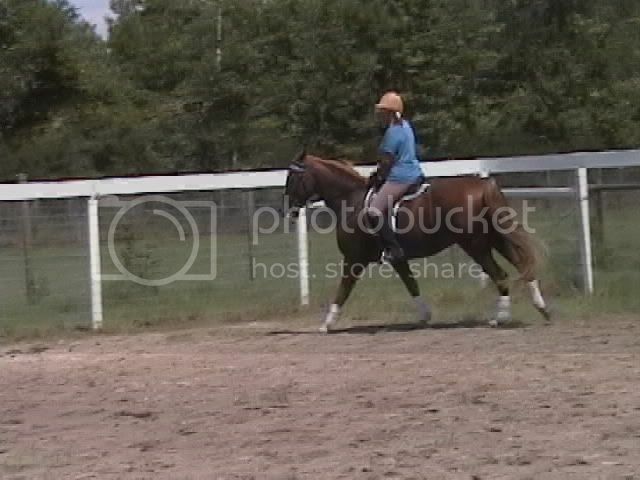 The pics on the gray where during my incredibly long no lesson period (around 6-9 months ago), and when I was unaware that I was rolling my shoulders forward. 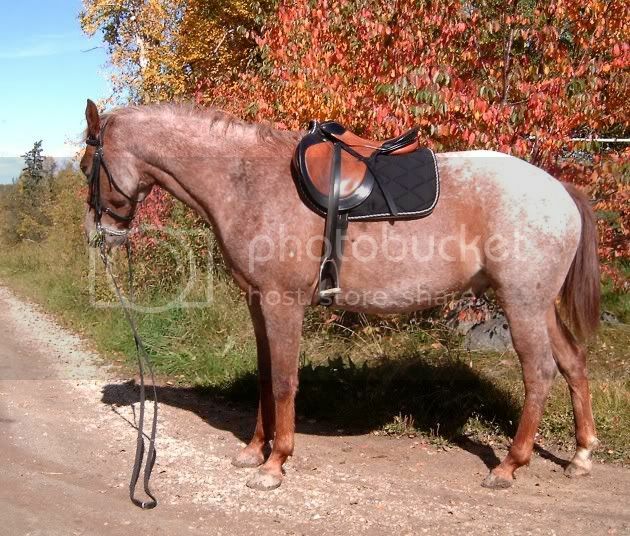 We now don't have that problem, I've also shortned my reins quite a bit. 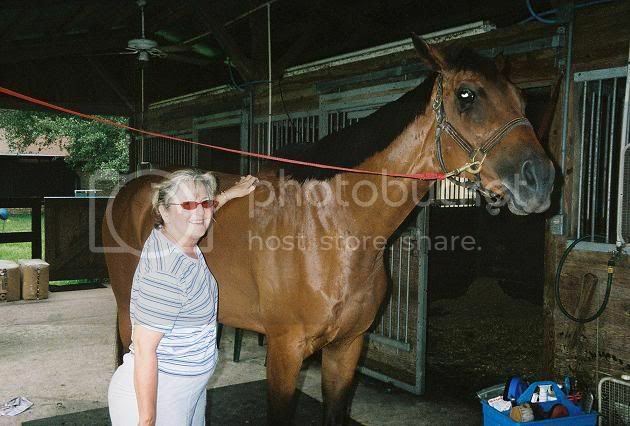 Sophie My 15 y/o OTTB. 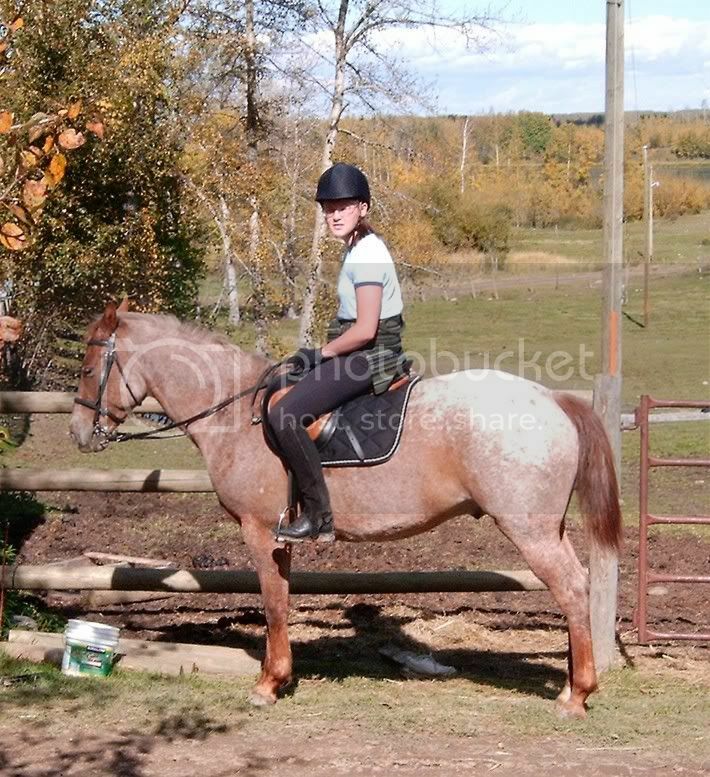 Ok now, this is not my horse, but I ride him every week. His name is Escondite, we call him Oscar, and he is a 5 y/o Andalusian. 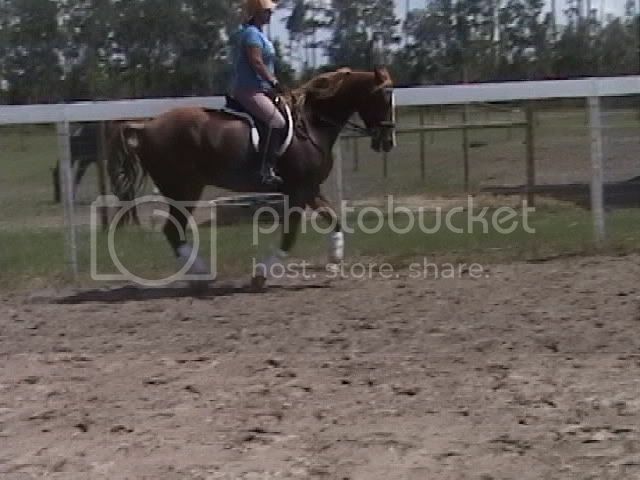 We're polishing his canter and will start walk piroetts and half pass within the next months. I need to get my "photographer" to join me again so you guys can see better pics. 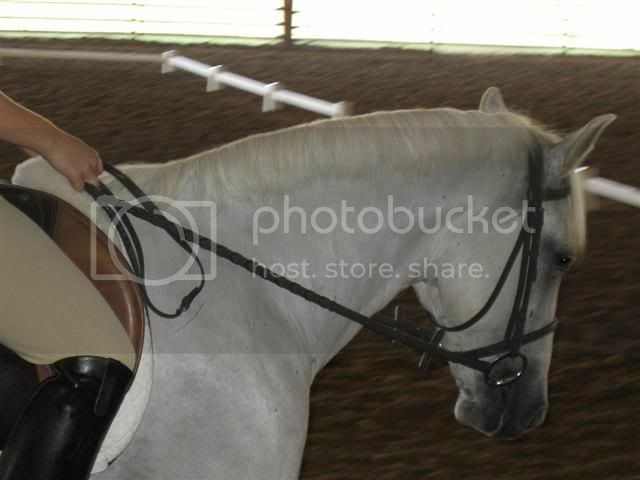 Edited because I can't spell User names for anything..
heres me dressage horse. 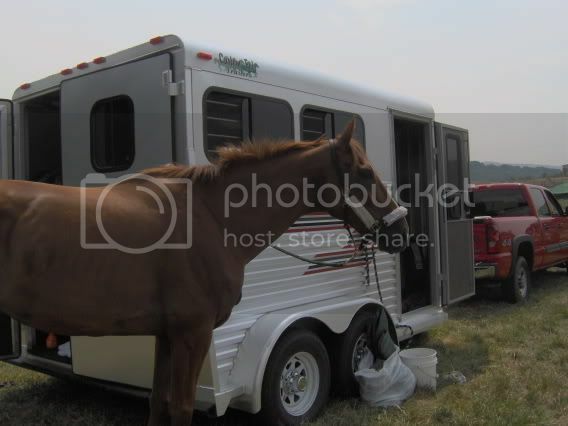 We have not been able to show at all(hardly any shows up here), but we are hoping to do some low level eventing this summer. I can ride dressage tests there. 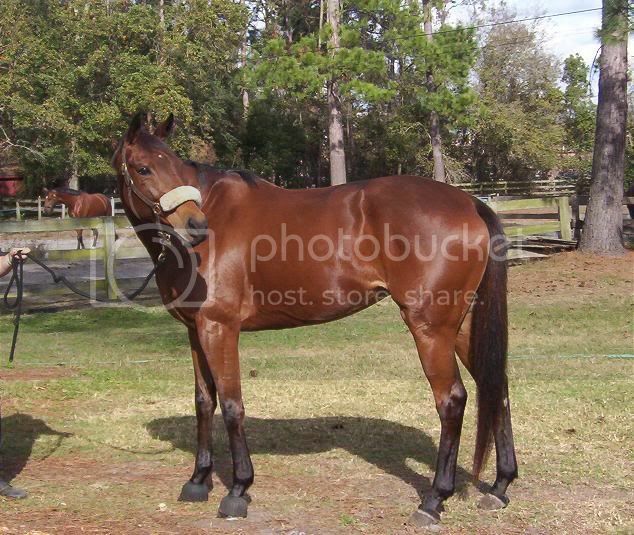 Ok, So I had to add, my new guy, Laugh A Little, (no barn name yet, possibly- Miles). He is just a 4 yr old, and we have a Looooooooong waaaaaaaaaaay to go, but we will make it. 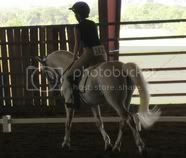 Right now I am taking lessons on my trainers horse. Here are a few pics. 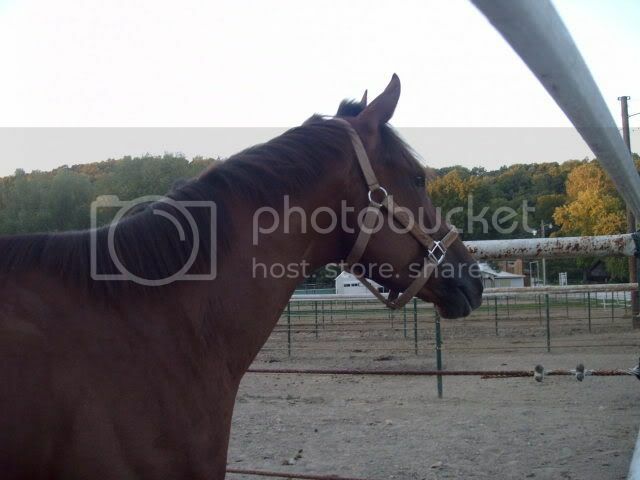 this is namib he is not my horse. 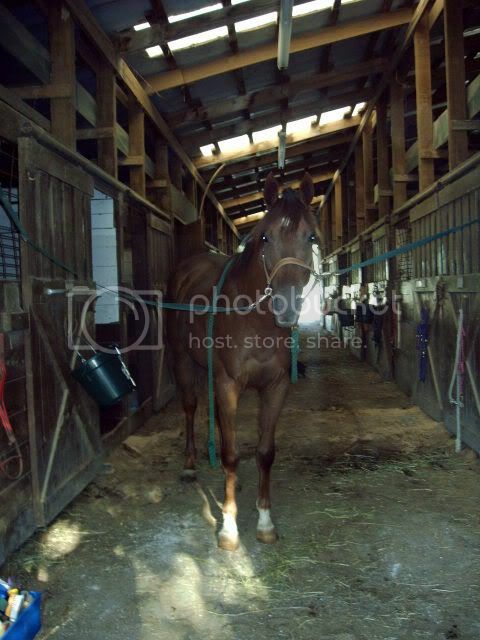 his owner is in the airforce and is based in England right now so ride him. i hope these work if not let me know i have only posted pics once and it has been awhile. 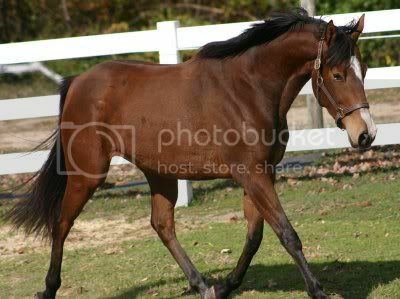 Inky looks like your horse would be good in both lol..but what a cutie ...i dont do dressage but all of your guys horses are really Pretty. 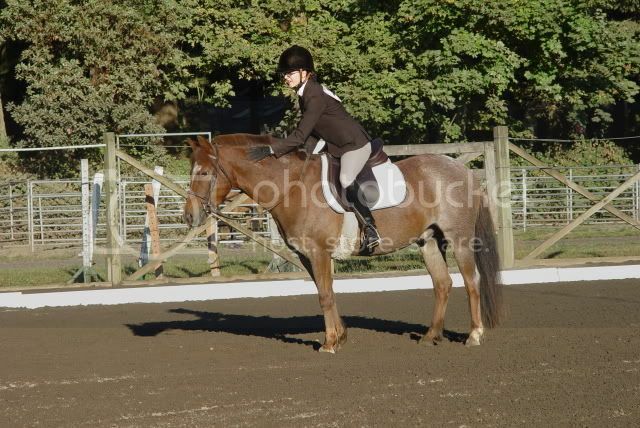 I don't have good pictures of his trot in the dressage test, so this will have to do!